Our flight from Cancun to Ft. Lauderdale on Sunday 4/27/14 was delayed more than 2 hours due to an issue with one of their aircraft. This caused many people to miss their connecting flights which is understandable. But the next available flights on Spirit to various destinations (Boston Denver Detroit Orlando New York etc.) ranged from 24 to more than 72 hours later. Families with small children coming home from spring break were told that they would have to wait until Thursday to fly to Boston. Further Spirit management did nothing to provide hotel accommodations for anyone stuck in Ft. Lauderdale nor did they attempt to contract with other carriers to get any of these people home. The only message they gave us is that this is company policy. When some people became outwardly angry due to the time and financial hardships caused by this airline Broward county sheriff's deputies were called in to keep order. Interestingly one deputy told us they see this on an almost daily basis regarding Spirit because of so many people's frustration with this airline. Spirit has clearly put their bottom line far above customer service and care. We will never fly this airline again. I went from MSP to PHX round trip. Their flight attendants are good the baggage is a fine price make sure to pay online. My grandfather and I packed one checked bag and it worked out cheaper than a carry on. The problem is the aircraft. I really wanted Spirit to work but it didn't. Flight to PHX was delayed 2 hours and we missed spring training game for that day. We even boarded the aircraft taxied to the runway to find out the right engine was out. On the way back we were delayed half an hour for other mechanical issues. Everything is great besides the one component that really matters. I would give Spirit a second chance. Before flying with Spirit my family and I felt a little anxious. We didn't know anything about this airline so we took a chance and the experience was nice. Excellent staff at the airports. Spirit is a Low Cost Airline do not expect great service onboard. The itinerary was on time including layover at Fort Lauderdale. If someone is looking for save some money although you must pay for luggage snacks seat location etc this airline is a good choice. But if people want special service on board first class free luggage or seat location this is not your best bet. The most important must be the air safety excellent maintenance and well trained crews and if this airline does it I have no complaints. After all everybody wants to arrive on time to your destination. We have flown on all the major airlines we decided to try Spirit it was cheaper and I know why. It is like traveling in a sardine can no leg room seats didn't recline. I kept getting a knee in my back because the seats had no padding. After this trip if I have to fly I will never fly Spirit airlines again. Absolutely the worst airline operating today. On my flight to DFW from Las Vegas I guess the flight attendants were having a bad day because none of them smiled and they were rude. Granted everyone has a bad day every now and then but this flight crew were rude and snobby. Prior to boarding the plane the desk attendant called for boarding zone 1 but 5 seconds later made an announcement for all boarding which created a cluster because now everyone was in line. Returning to Vegas was just as bad although the plane we were on experienced delays due to repairs. I think I'll just stick with Southwest Airlines for my economy flights. I flew Spirit a couple of years ago to Miami FL. 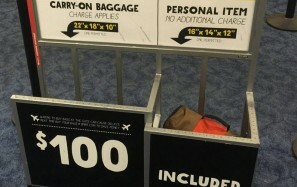 During that time I was not charged a fee to carry on a small roller bag going or coming back. This year I had the exact same bag and did not purchase the carry on fee because it was free before. Now I fly out of DFW and when I get to the terminal and wasn't allowed to board because I did not pay for my bag in advance. They allow one carry-on bag free of charge but was told that my bag was too big and I also had my purse in my carry-on bag. Now they want to charge me $100! How did a carry-on bag go from $35 online to $100 at the gate on the exact same day? I told them that I had used the same bag before and wasn't charge so I asked if it was a new policy and was told that this policy had been in place for the past 3 years. Needless to say I ended up having to pay $100 for a small roller-bag and the lady in front of me was just as furious! Yes the flights are cheap but they will get you in some small way to make up for the cheap flights! I must say after reading some of the past reviews prior to our flight we were a little nervous. But once we had our first experience last week we will fly with Spirit again. The airline gets us to point A to point B safely and a budget that will work for our family. If you want all the bells and whistles go with a different airline. But if you think about it it clearly states how much baggage fees will cost you during online reservation vs counter check in. 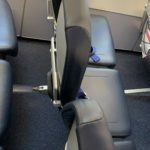 People were surprised by the Luggage weight requirements Printing out boarding passes Leg room Seat not reclining really? Do we complain just to complain! We always want something for nothing! I booked a flight from Santiago Dominican Republic to Chicago Illinois. This was booked with reservation because I traveled through Spirit a couple of years ago and had a horrible experience. At that time I vowed to not travel with this airline and when asked about the airline I spoke of how horrible it was. I booked Spirit this time only because it was the most economical not the best flight accommodations because I had 2 layovers Santiago to Ft. Lauderdale Ft. Lauderdale to Orlando and Orlando to Chicago which Orlando's layover was approximately 10 hours but for the price why not. I went online to pay for baggage which Spirit happens to be one of few airlines that charge for first bag when flying internationally. I was confused that when I pay for baggage from Santiago to Chicago I had to pay double. I spoke with representative she stated once your bags are paid for the charge is from Santiago to Chicago. When I arrived at the airport in Santiago I spoke with Customer Service Representative for clarity about the bags and bag charge. She stated my bags were paid only through my second layover which was Orlando but from Orlando to Chicago the were not paid for. I explained to the Representative that I spoke with someone over the phone stating it was paid through Chicago. She spoke with her Supervisor the Supervisor made the adjustment and I was on my way. Lines at Security once I arrived at Ft. Lauderdale and Orlando were long but moved very fast. Staff were friendly and helpful. My bags made it to my final destination Chicago without incident. Spirit has redeemed itself I will fly again and recommend to everyone. My husband and I recently flew Spirit for the first time on a flight from Boston to Ft Myers FL. 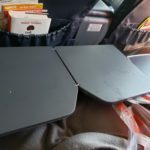 We had read all of the bad reviews but decided to take our chances and try it because the price (even with all the add ons) was cheaper than other airlines and it was a non-stop flight. If you do your homework and educate yourself on all of their add on costs there shouldn't be any surprises. The only thing I hadn't read about was their weight limit. It's 40 lbs. per checked bag or 80 lbs. total for 2 bags for Spirit and 50 lbs. per bag for other airlines. We each checked a suitcase and a set of golf clubs and the combined weight of the 2 bags for each of us was a little over 80 lbs. but they allowed a little wiggle room and didn't charge us extra which we appreciated. The flights were on time and the planes were clean. 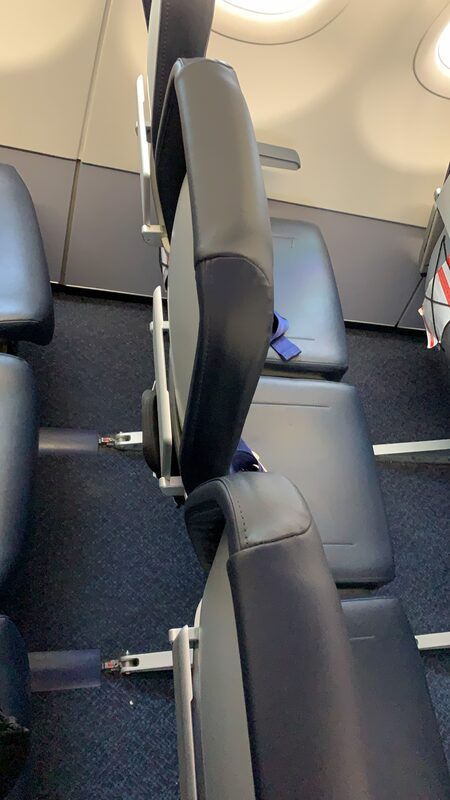 We opted to pay $25 each way for exit row seats so we had plenty of legroom but I did notice that the regular seats were quite close with little legroom. My only complaint was that the seats didn't have much padding and didn't recline. I would have no reason based on my first experience not to fly with this airline again. My advice to those contemplating flying Spirit would be to read and understand all of their policies then there won't be any surprises. Flew round trip from Detroit to Ft. Myers Fl April 12 and April 19th. What happened to Spirit? Last time I flew with this airline was 9 years ago and I did not have 1 complaint but this time? Filthy is the first word that comes to mind. 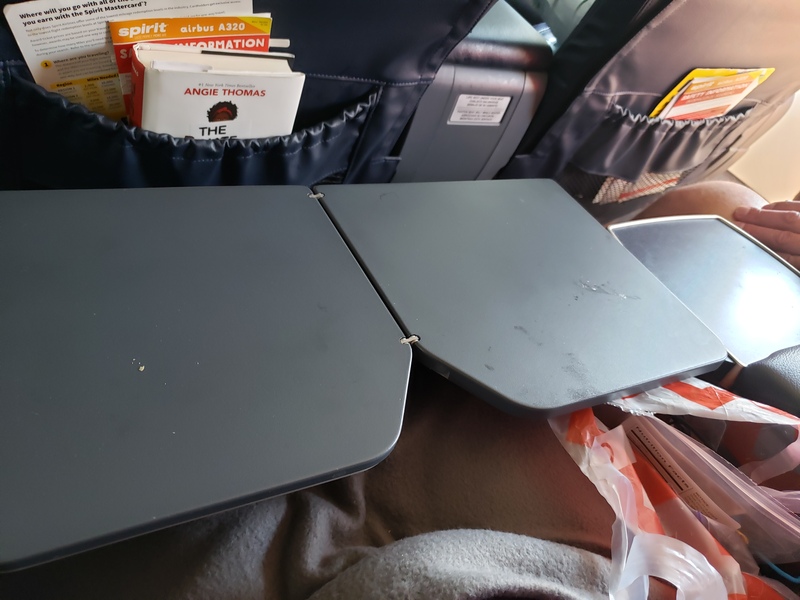 Food on the floors dirty greasy seats and when I told the attendant that the tray table was filthy she handed me a napkin. Before I left I looked in the seat pouch to see if there were any comment cards and found a used vomit bag. Used. Besides the crud the luggage prices are ridiculously high. They charge $45 for a carry-on bag when you use the 24 hour check-in services online ($55 if you check-in at the airport). These are only one-way so for a round-trip flight double those amounts. 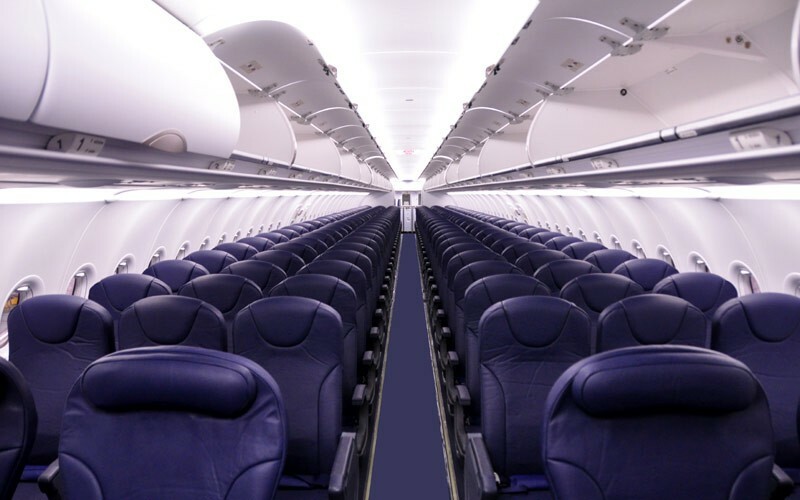 To choose your seat Spirit will charge you $18 one-way. Double that amount if you want it for a round-trip vacation. 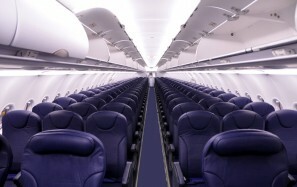 So if you would like to sit next to your friend spouse children parents etc. then it will cost you nearly $40 extra. I would never fly Spirit again.